Hello, all my coffee-loving friends! 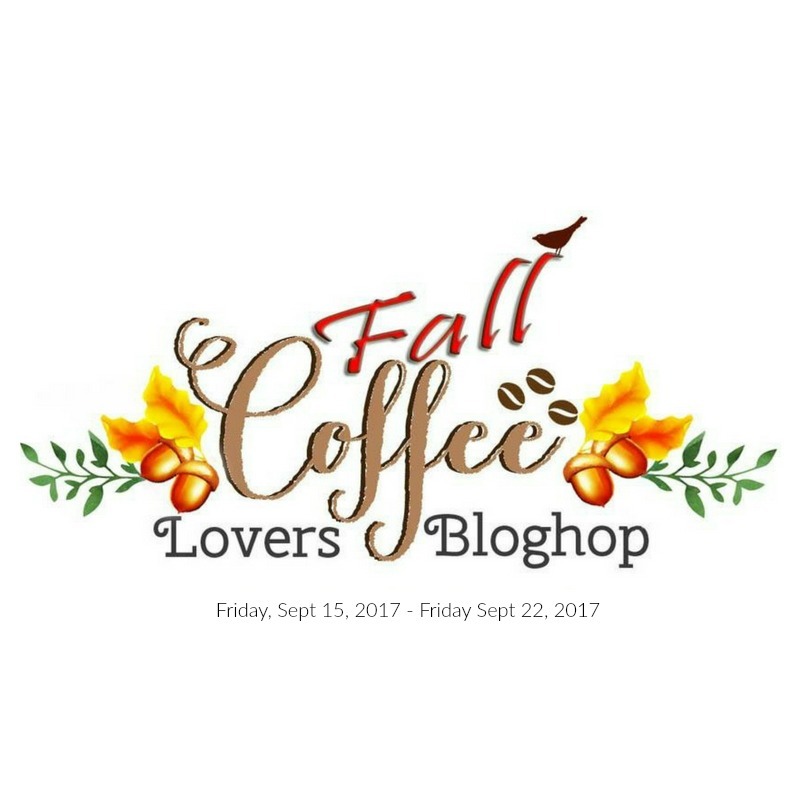 If you've been participating in the Fall Coffee-Loving Cardmakers' Blog Hop, I'm sure I've been by your blog to see your amazing cards. I'm caught up on my commenting; and as I've done in every one of these hops, I've commented on every entry. It's a lot of work, but it's SO fun to be able to see all the entries. Some of them are truly amazing! I hope you've all been enjoying it as much as I have. CropStop Linky September Party #32 - I used Tombow Adhesive, lots of great Tim Holtz Distress Inks, and May Arts Natural Burlap String. Karen, I LOVE YOUR CARD! Sorry, I am yelling but I love it that much. Well, I'm sure I won't get to everyone, but I'm glad I stopped here to see your lovely card! Very cute. I love how you did the sentiment about loving coffee. Oh, I just noticed you used a die for the word coffee. It helps to read too! Love the colors. Fun card. Karen, your card is adorable. Love those papers. Your are such a sweetie to make comments on EVERY card on the blog hop and I think each hop has more cards so it because a bigger challenge everytime. Such a pretty coffee themed card! Love the warm feel you created with your brown hues. So happy you linked it up to the Cropstop blog. Fabulous card Karen!! Love that inky coffee ring! grit to visit every entry. tell I'm not too patient. Karen, this is gorgeous! Love all your pretty details. 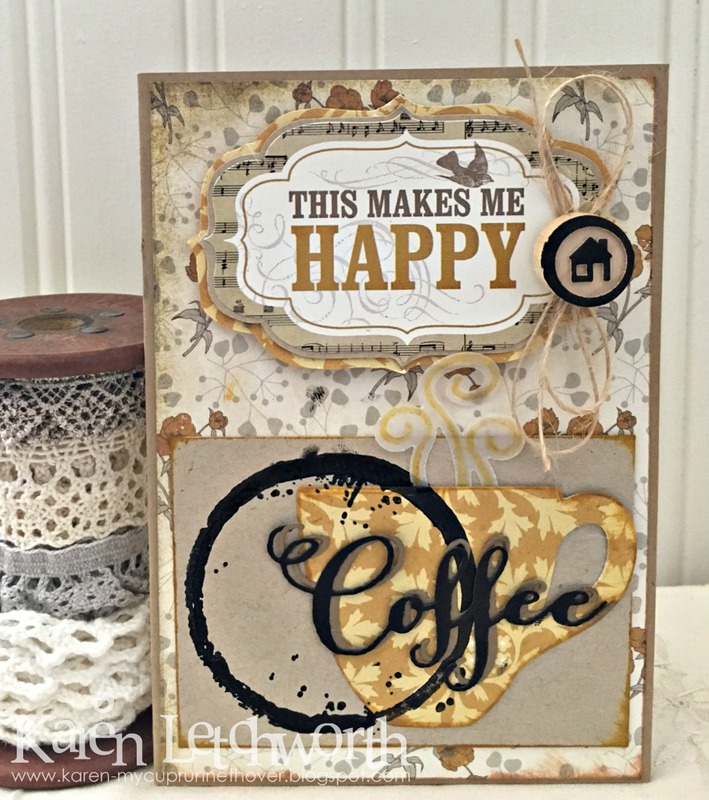 Love the layering and the 'coffee' die cut... great font! 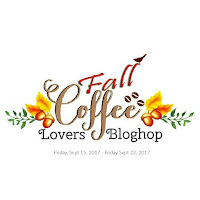 I would love to visit each blog on the hop... that's overwhelming! Can't imagine... but so fun to see all the projects! Totally makes me happy! Love the vintage feel on it with all gorgeous layers!!! THis is a lovely design! Cute house button! Oh my goodness Karen, this is gorgeous!!! Beautiful card. LOVE so much about it. Awesome. Love this! Love the neutral pallet and beautiful prints and all of the wonderful layers! What a beautiful vintage look...and then there's coffee! Lovely card and pretty papers. Love the papers and the coffee ring. Gorgeous card and lovely papers with the coffee theme. Karen, this card is well layout - I like the design. The natural tones say coffee. Great stamps. Thanks for visiting my blog and commenting! So glad I can make it to you. I really like the colors, design and details on your card. Sooo beautiful. Great colors and a beautiful card.